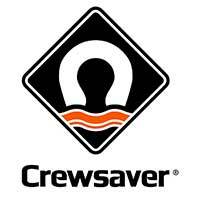 Crewsaver has been making lifesaving equipment for over 50 years and now sits at the forefront of lifejacket, liferaft and buoyancy aid (PFD) development. Crewsaver lifejackets are well suited to nearly all types of sailing and watersports with manual, automatic, coastal and offshore ranges as well as cutting-edge racing, lightweight, and low profile designs. Technology has driven a change in the ergonomics of the Crewsaver Lifejacket and PFD ranges, now working with the body form, keeping you safer when required. Crewsaver, now part of Survitec also offers a range of coastal and offshore liferafts ISO rated and available in a canister or soft container form.